In today’s post, we are going to showcase another set of tools which webmasters can use in optimizing their websites to improve their site’s ranking and visibility to the search engines. These tools crawl the web to seek out information then index web pages exactly the way search engine spiders do. We are talking about spider test tools. 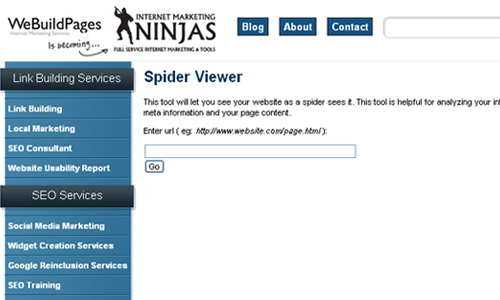 Spider viewer tool lets you view your website from a search engine spider’s perspective. Basically, this tool analyzes the load time of your website as well as your internal links, your meta information and your page content. In this way, you’ll be able to know about the problem your site is facing and will be able to correct it. Here are the 12 Powerful Site Spider Viewer Tools which will provide you with authentic statistics about your website helpful in optimizing it on a search engine. Check this out! 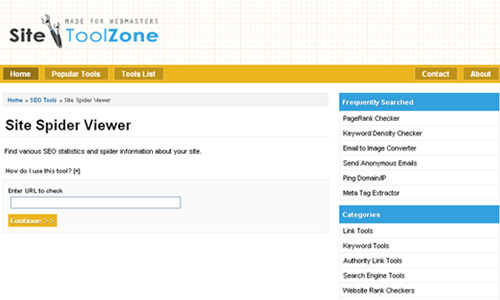 Site ToolZone – Site Spider Viewer will help you find out how spider bots view your website. 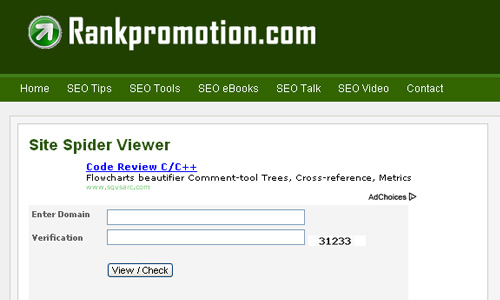 Rankpromotion.com – Site Spider Viewer is an easy-to-use tool for letting you see your website as a spider sees it. 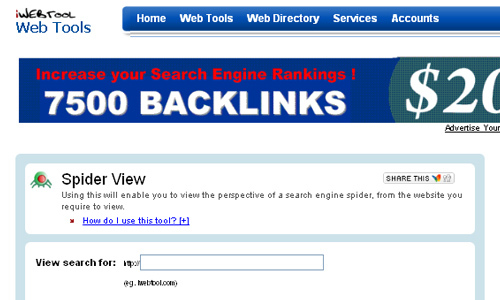 iWebTool – Spider View is a free webmaster tool which enables to view a perpective from a search engine spider. 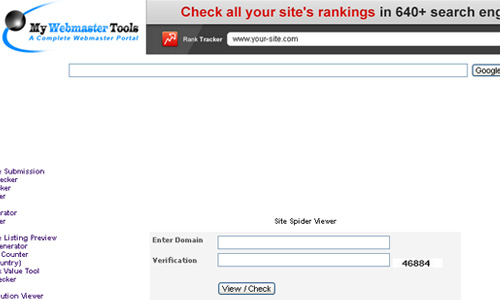 Networktools.es – Site Spider Viewer allows you to find out how spider bots view your website. 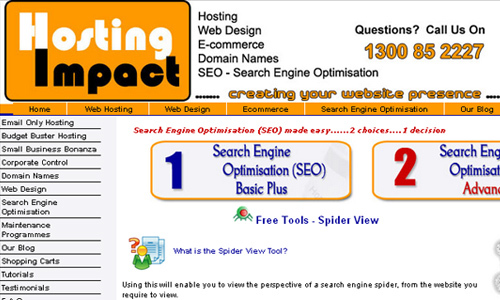 Hosting Impact – Spider View Tool allows you to view the perspective of a search engine spider, from the website you require to view. Search Engine Genie – Spider View Tool lets you see the overview of a search engine spider, from the website you require to. WeBuildPages – Spider Viewer is an SEO Tool which allows you to evaluate your website in the eyes of a web spider or crawler. 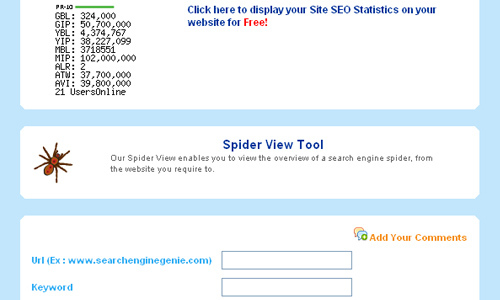 My Webmaster Tools – Site Spider Viewer helps you find various SEO statistics and spider information about a website. 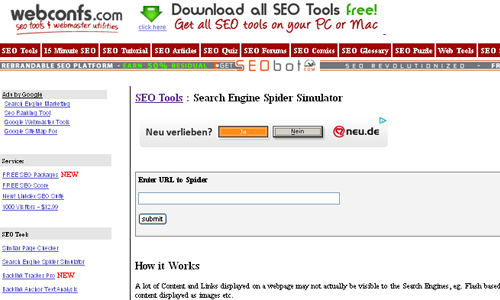 Webconfs.com – Search Engine Spider Simulator allows you to see your page the way a spider will see it. 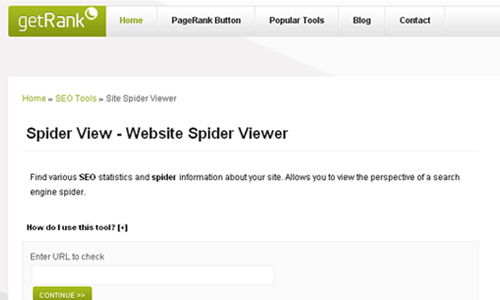 getRank – Site Spider Viewer allows you to view the perspective of a search engine spider or crawler. 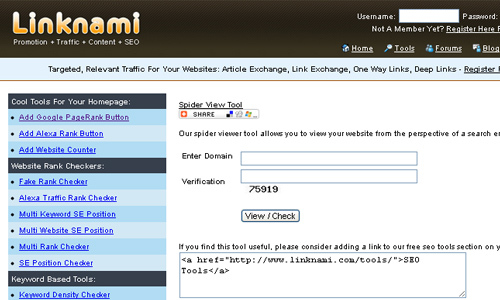 Linknami – Spider View Tool is a free SEO tool for viewing the information seen by search engine spiders. 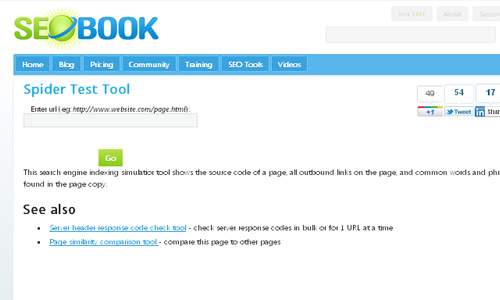 SEOBook – Spider Test Tool checks the source code of a web page, all outbound links and keywords and tries to show it similarly to how a search spider may see it. A mom who loves surfing the web, currently working in Qualfon as a KANA agent, and married..
finally found it, thanks for sharing it!